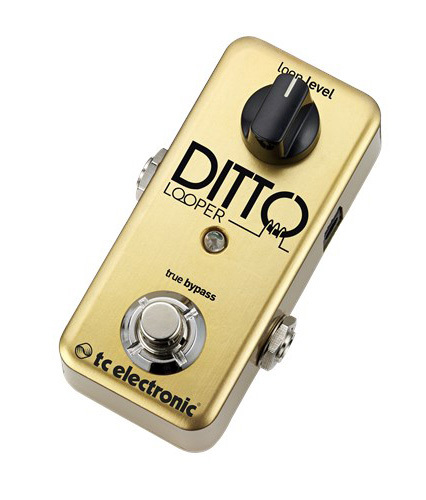 Ditto Looper Gold, Looper from TC Electronic. 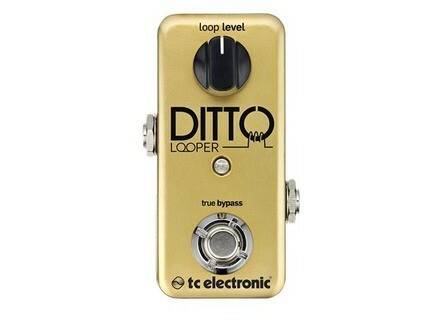 More than 100 000 Ditto Loopers have been sold worldwide, which makes it one of the most popular product, along with the PolyTune, in the history of TC Electronic. To celebrate this success, the brand launches a limited edition that is now hitting the stores. 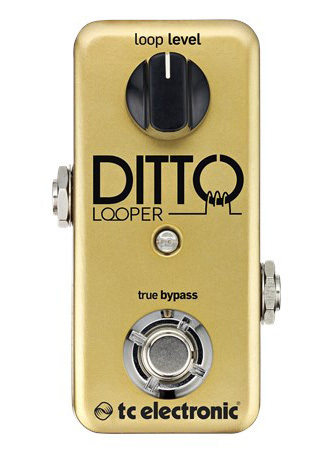 The Ditto Looper Gold has the same features as the original Ditto (the small one), but its sports a shiny Gold finish and ships with a certificate of authenticity signed by guitar product director Tore Mogesen. Visit www.tcelectronic.com for details about this special edition and the list of retailers. [NAMM][VIDEO] Visiting the Eureka Sound booth Along with the Baitar OMB2 bass and guitar instrument, Eureka Sound debuted at Summer NAMM three ingenious tools for guitar players. [NAMM][VIDEO] Daredevil Nova and Wolf Deluxe Daredevil Pedals was at Summer NAMM 2014 to introduce two new fuzz pedals for guitar, the Nova and the Wolf Deluxe. [NAMM] The JHS Emperor was in Nashville We announced it last week, JHS Pedals was expected at Summer NAMM 2014 with its new Emperor effect pedal. And they were indeed.